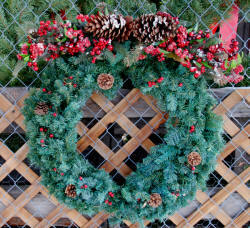 We carry beautiful, hand made wreaths in two varieties—Douglas Fir and Fraser Fir. 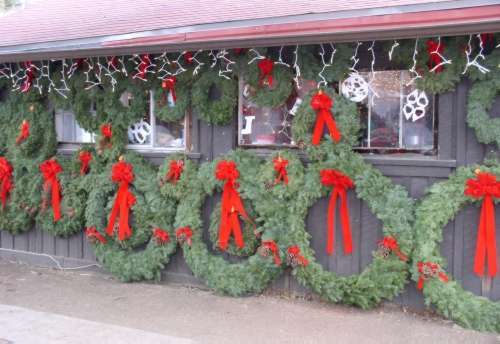 These Christmas wreaths are all hand tied and made in Colorado. Some come with a simple red ribbon ready for you to decorate, we also carry an assortment of beautifully decorated wreaths. We have sizes a plenty! We have sizes from 18 inches to 48 inches in-stock and can also provide you with extra large wreaths from 60 to 96 inches pre-ordered. 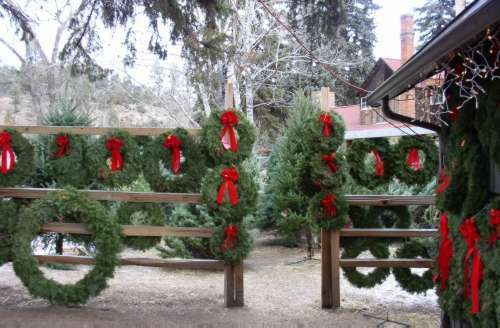 Douglas Fir Wreaths: Double faced. These come plain or beautifully decorated. Extra Large Wreaths - Please call us in advance; these items must be pre-ordered and paid for. 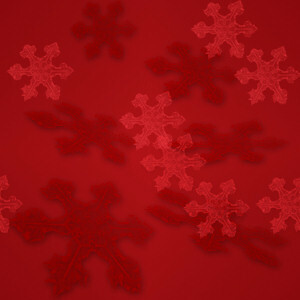 These Special Orders items are usually available within just a few business days. Each one is made fresh just for you! Fraser Fir Wreaths: Single faced. These all come decorated and are made from beautiful, silver-blue Fraser Fir boughs. Extra Large Fraser Fir Wreaths - These have become very popular so come in to our store early. ** - These sizes need to be preordered and pre-paid. We can usually have these made fresh for you within a day or two. 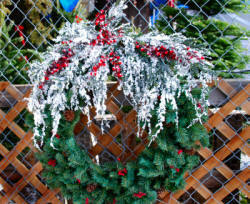 Our beautiful hand made garland has been Evergreen's choice since 1996. We have sold nearly 6 miles of our beautiful garland over the past 14 years. Hand made from Douglas fir boughs, beautiful, fresh with a 7” to 9” spread. We sell our garland by the foot to fit your specific application. You may also buy our beautiful garland in 75 foot rolls at a discount from the per foot price. DELIVERY -- SET-UP -- AND REMOVAL AVAILABLE! 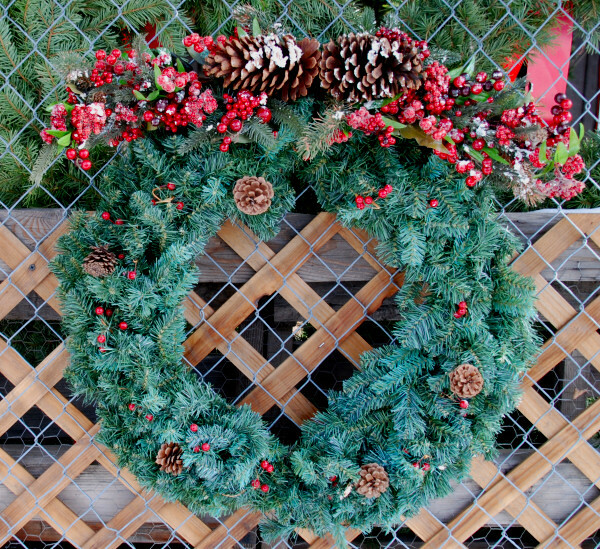 We ALWAYS recycle your trees, wreaths and garland at an organic dumpsite where it is composted! as a token of our thanks and appreciation.